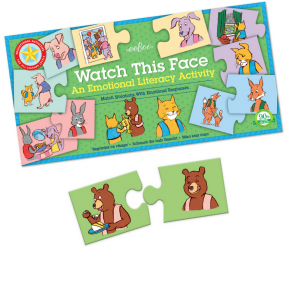 This game is an effective way to teach children that animals and people have different thoughts and feelings. And feelings and thoughts change during the day! Plus the separate magnetic eye and mouth pieces makes for a concrete discussion about facial expressions. Change the eyes and mouth expressions on the monkey to show what he is feeling. You decide if the monkey is happy, sad, angry or surprised with his day. Or maybe he is scared? 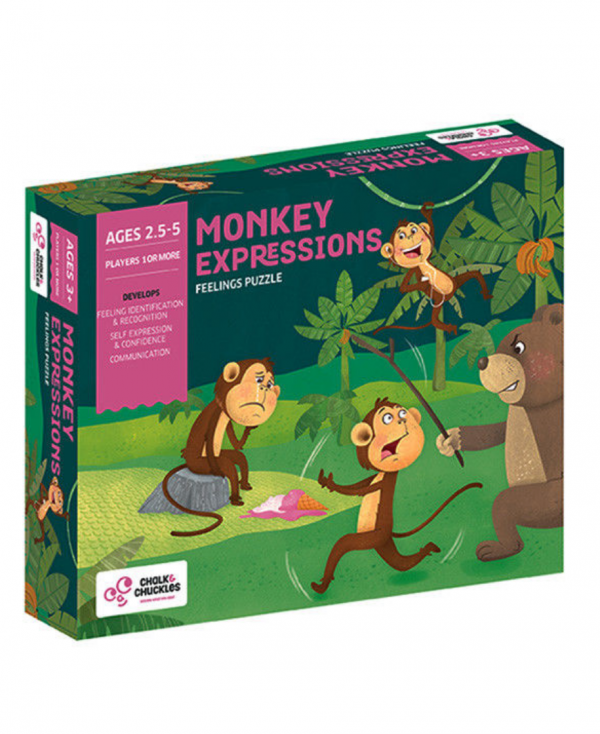 – Copying or imitation games for children starting out. 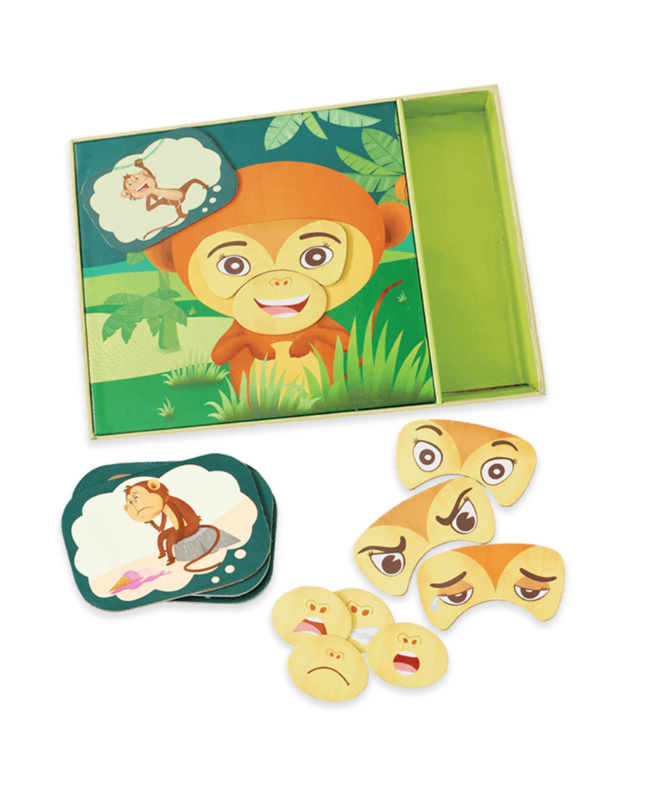 Encourage the child to use the puzzle pieces to copy and name the expressions on the monkey. See the monkey feeling, sad, happy or mad etc. 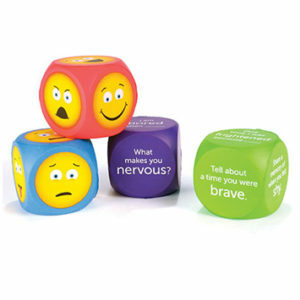 -Recall and label games. Name the feeling. E.g. “Scared” and ask the child to recreate that expression on the monkey without referencing. -Place a situation thought bubble over the monkey’s head. Discuss what is happening and ask the child to identify the feeling. Name the feeling and make that expression on the monkey.